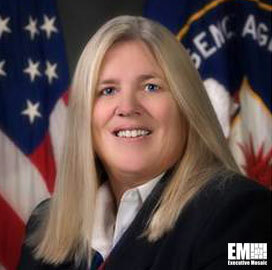 Susan Gordon, director at the CIA information operations center, has been appointed to serve as the next deputy director at the National Geospatial-Intelligence Agency. Gordon is a 34-year intelligence community veteran and succeeds Mike Rodrigue, who will retire on Dec. 31 after more than four decades of military and federal service, NGA said Thursday. “Sue’s reputation across the intelligence community is without peer,” said NGA Director Robert Cardillo. “She is widely admired for her leadership, partnership and mission delivery,” Cardillo added. Gordon has led cyberespionage monitoring and information gathering for national security purposes through a blend of human intelligence and technology at CIA. She also directed support and special operations at the agency and held senior leadership roles across the organization’s four directorates.